The biryani scene in Bangalore is quite different from Hyderabad. Hyderabad has hundreds of large, medium and small outlets selling Hyderabadi biryani. Andhra biryani, which is a pulav comes a distinct second and is sold in local messes or outlets. Biryanis from other parts of the country are hardly recognized and often scoffed at. In contrast, in Bangalore, I found an openness towards the dish – at least a dozen varieties of biryani from different states are extremely popular here. I was first directed to the Donne Biryani of Shivaji Military Hotel at Jayanagar, arguably the most popular biryani place in Bengaluru. 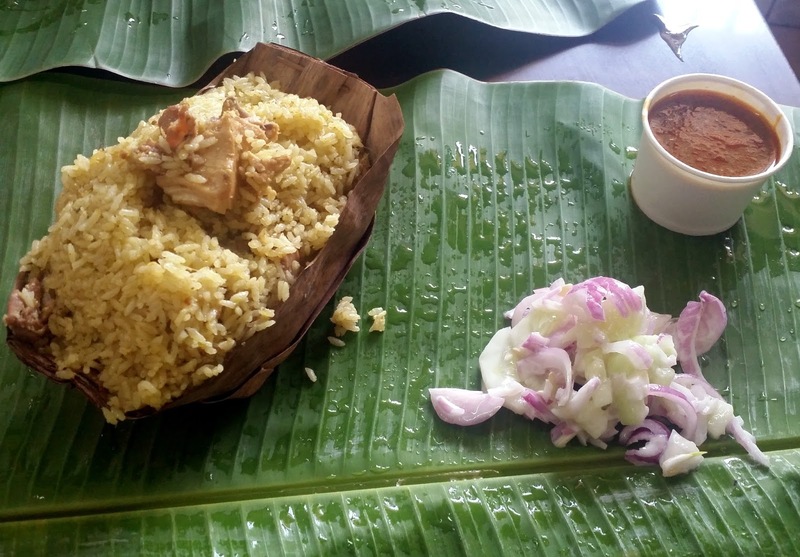 The biryani gets its name from the dried palm leaf cups (called "donne") in which they are served. The hotel is a no frills place where customers queue up to try this dish. This biryani is actually a pulav cooked on firewood which imparts a distinct taste to it and is served with onion raita and spicy gravy. It is quite similar to the Rayalseema version of Andhra Pulav with a hint of pudina in the rice. We also ordered a Chicken Fry to go with the biryani, and it was the right thing to do. The place is normally very crowded so one may have to wait quite a bit to get a seat. Service is fast and they expect you to vacate as soon as you complete the meal. Another place which serves some good Donne biryani is Gundappa Donne Biriyani. It has outlets located all over Bangalore but I visited the Koramangala one where the FBAB (Food Bloggers Association of Bangalore) meet was organised. The restaurant is small with limited seating but serves some delightfully spicy biryani. They also have the Gundappa Thali which comes with a biryani of choice along with sides like Mutton Vada, Chicken Kebab, Chilly Chicken, Pepper Chicken and Guntur Chicken. 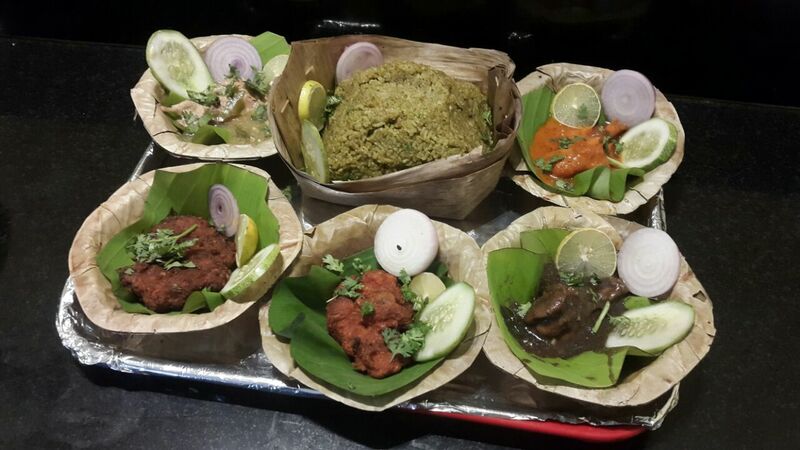 One thali is more than enough for one person and adds a new perspective to the dish which is often eaten standalone. However, this is not a place for veggies as the closest thing that will find in the menu is Khushka (biryani rice). Another style of biryani which is famous and available throughout Bangalore is the Thalassery Biryani from the Malabar region of Kerala. The biryani of the Moplahs of Calicut region had an influence of Arab traders who used to frequent this region for business. 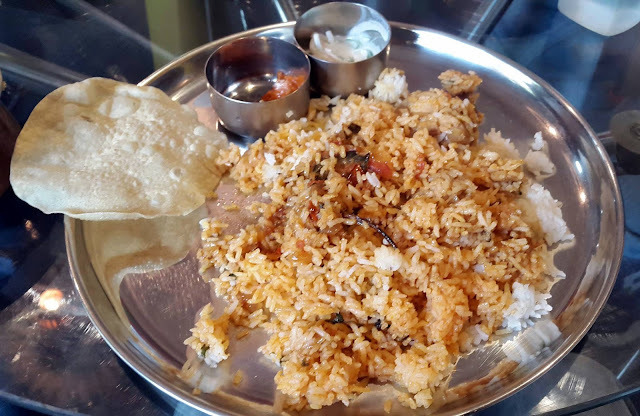 Kudil, a small establishment in Church Street serves Thalassery Biryani with papad, pickles and raita. The biryani had the perfect blend of ghee rice and masala, but my only complaint is that the quantity is too less even for a single person. The other place to enjoy Thalassery Biryani is Hotel Metropole near Shivajinagar Bus Stand. The place is small and lacks ambience, but the biryani here is extremely flavourful. The quantity is also much more and the biryani is served with a boiled egg on top. My maternal family is from Kolkata, and when I used to travel there on annual vacations I fell in love with the biryani there. 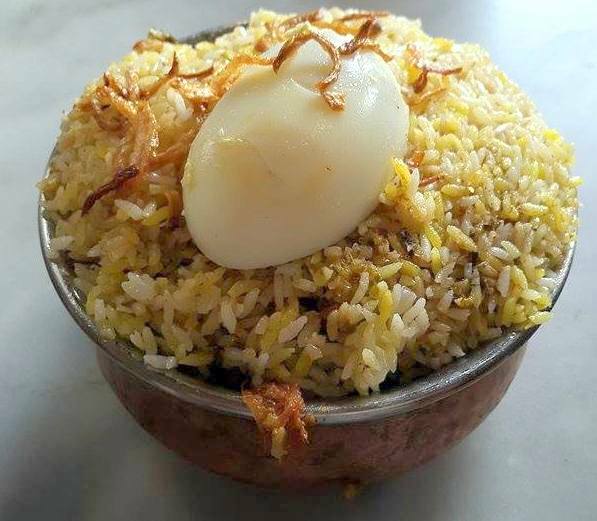 In Bangalore, I located a couple of restaurants serving this aromatic biryani, the hallmark of which is the boiled potato in it apart from mutton and chicken. In Koramangala, Lazeez serves this form of biryani. 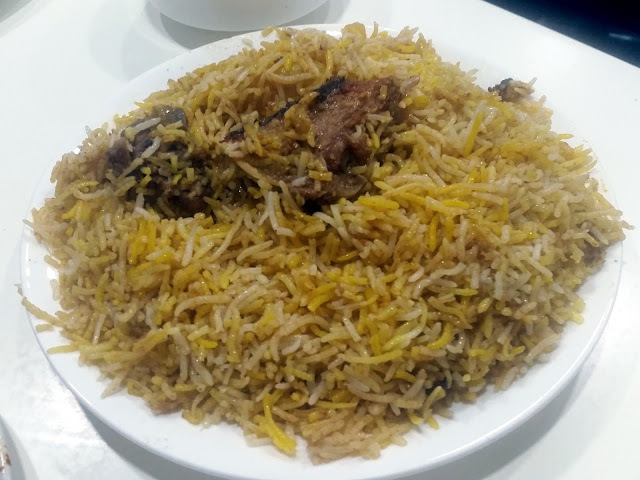 The saffron coloured sweetish biryani at Lazeez is flavoured with kewra water has a largish chunk of soft meat which easily comes off the bones. The place also prepares some delectable Kolkata style Mutton Chaap, which goes well with the biryani. My biryani quest in Bangalore continues with trying out of more and more places. On the cards are the Ambur, Awadhi as well as Andhra biryanis. Even for the versions that I have tried, I am on the lookout for restaurants where the quality is even better. Try Hyderabad House in Victoria Layout, Richie Rich in Frazer Town. 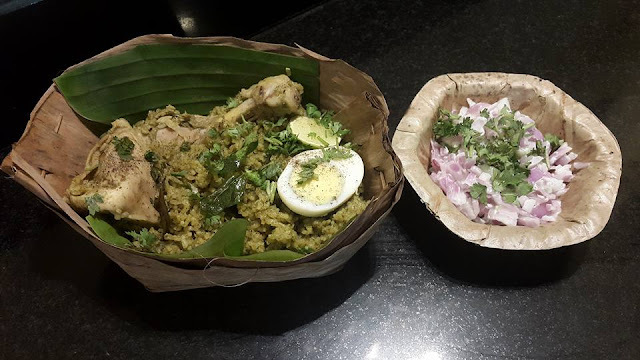 Nati Koli Biryani in Nandhini. Kolhapuri in Jayanagar. I am a vegetarian.....Do you have any suggestions, where to get a good veg biryani in Bangalore? I have tried out the regular biryani places like Meghna Foods, Paradise etc, but could not find a biryani that would call me like a siren to sailors.